Can history repeat itself? In terms of the weather we hope so. 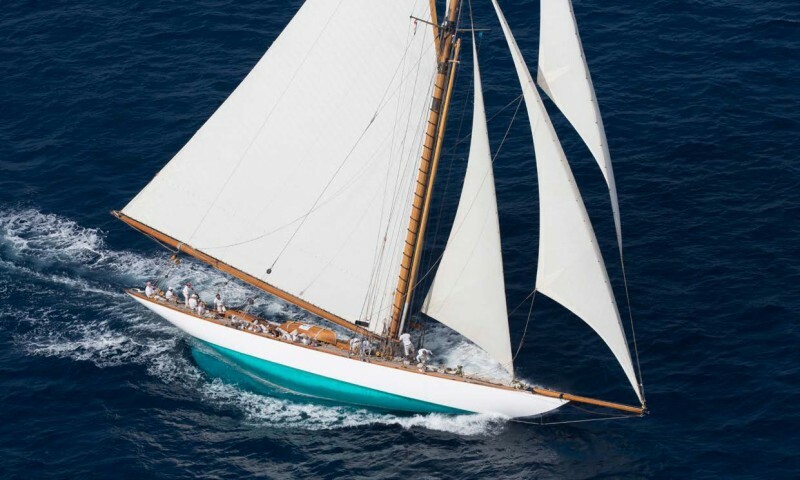 The Panerai Transat Classique has been announced for January, 2019 and will take the fleet from Lanzarote across to St Kitts. Its time to sign up and in case you missed the last edition 3 years ago (2015), where the fleet was blessed by 30-40 knots of following breeze, here is an account of the crossing from Ted Street on board the winning boat, Altair. If you were going to make a horses for courses choice then it would be hard to argue with having a 40m spar’d length schooner for the first 9 days of this edition. To a certain extent we showed up with the right tool for the job and then made the most of it. We didn’t see anything less than 25 knots out of the East and it spent most of its time in the 30’s, hitting 40 + in the squalls. We took a conservative start, deliberately late for the line, but then later than we wanted having had a big header 2 minutes from the start gun. But with a long race ahead we wanted to get away clean and not do anything too flash on the first windward leg. Although the MPS was ready to hoist at the weather mark we took a quick gybe first and settled into it rather than do the normal ‘gybe-set’ that we do on the circuit. Everything went smoothly and after 3 hours in and after a few gybes we felt we could start pushing harder, and did so every day as the race went on. However, the winning of the race, having made use of the wonderful conditions that were in our favour, was what was done in the final days when the wind went light and shifty moving from 060° to 120° and dropping to 6 knots for hours at a time. In the final 48 hours neither watch slept, and certainly no one onboard, including myself, has ever made so many sail changes to the extent we basically lost count. We finished up with Jackyard set on the fly and the big Balloon Jib gybing inside Diamond Rock. 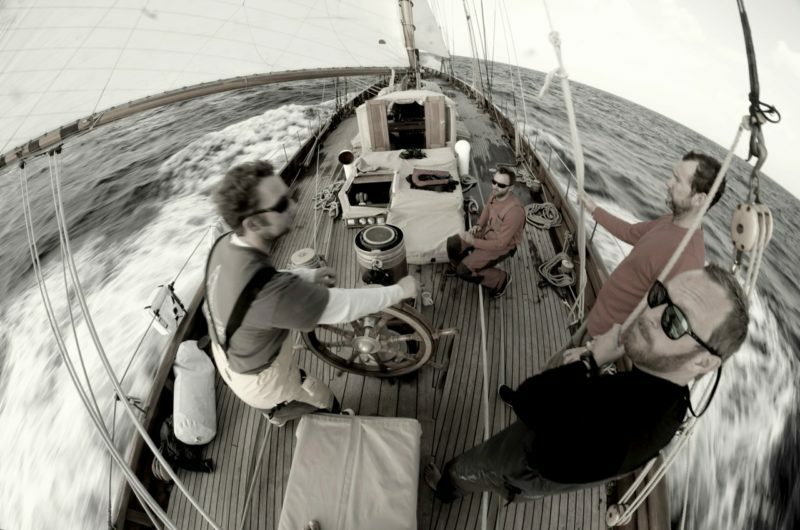 Neither the usual Med regatta nor a delivery….doing a transatlantic race is a little different. You’re on a 4hr off, 4hr on rotation. You are steering and trimming constantly and much of your off watch time will be spent having to stay up during a watch handover, for a big manoeuvre or for a sail change. Either that or you get woken up while off watch to give assistance. This depends on where the navigator has decided to gybe or where wind conditions require an increase or decrease in sail area, or it could be down to a wind shift that means a complete different set of sails are required. But in this case we’ve decided to do it on a big ol’ gaff schooner, and there are 2 power winches on the whole boat. That means you sweat every sail up by hand and pull it down by hand. 2 to 3 guys hauling, one tailing and then onto the next sail. 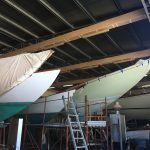 When you make sail changes on a schooner it’s generally several at a time. Not just one. They sit with each other differently. To give you an idea here are some examples of wind strengths/direction versus our sail wardrobe and us the crew! 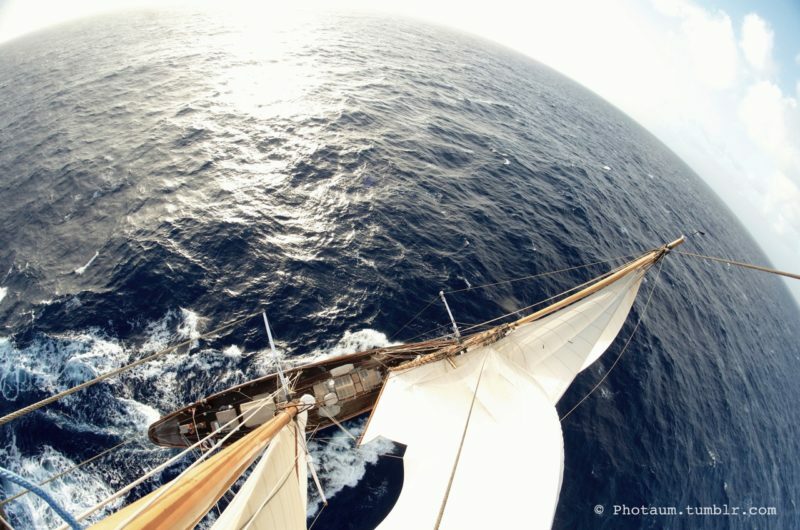 With the wind on the beam we might be screaming along with Main, Main top, Fore, Fore top, Fisherman and Staysail, Jib and Jib Top 2. If the breeze increased the Fisherman would be lowered and the Jib Top 2 changed out for the Jib Top 3. Alternatively, if the wind held strength but has gone aft the call from the Heavy Reaching setup to the Heavy Running setup would be MPS (high medium and heavy air kite) up, Jib Top and Jib down, Fisherman down, Fore Top away and Gollywobbler(Golly) up, and Fore down . . all with just grunt! Now in this set up a few hours later the navigator/tactician may decide we need to gybe on a shift. So, drop preventers on the Main and Fore, Fore back up, Golly down, topmast and main mast runners led aft, all sails gybed (kite included obviously) and once sails are set on the new gybe the Fore Top and Golly are rehoisted and the preventers back on again. These manoeuvres were done in various orders at different times as required day or night. So you get the idea!! From my end as both a designated token Paddy/helmsman as well as our watches bowman and man aloft (we had one for each watch – Jon being the other) one of us was always wearing a harness and wide awake should the need arise to go aloft, or on the bowsprit to sort a problem or carry out a manoeuvre that necessitates us being, shall we say, prone. On our watch some of the unplanned manoeuvring I had to do was near the start. 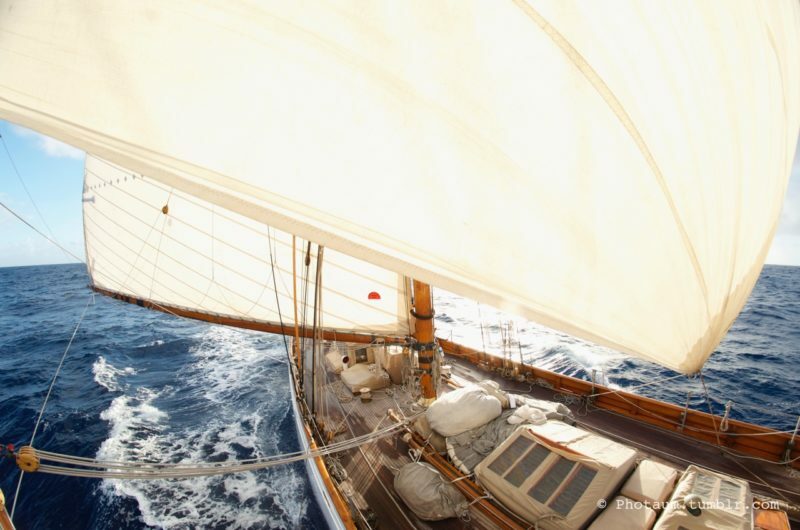 Like climbing out to the end of the MPS clew to attach a new sheet after the old one had blown on the splice, or having to climb to the end of the main gaff to lead a new gaff vang while barreling downwind in 30 plus knots doing 14 knots boat speed constant. At one point I found myself hanging off the main boom to lead a new Gollywobbler sheet block before the old one completely disintegrated in front of us, and that was before getting drowned on the end of the bowsprit a few times, taking the jib top down in a big swell and big breeze, once ending up on my arse in the net. First time I can say I’ve genuinely been blown off the front of the bowsprit, but the tether was a good one and so was the jackstay. Standard bowman duty and no way out of the norm. Rigging up the gaff preventer however was a little more challenging. Jon on his watch ended up aloft for manoeuvres such as lashing the luff spar when we hoisted the Jackyard for the last 2 days, lashing the fore top when it was bunted and not to be used for a few hours each time, up to the end of the fore gaff for a fouled sheet, umpteen rig checks a day and any number of other monkey type business he would’ve carried out as necessary while on his watch. Plus on joint watch manoeuvres Jon was aloft. Basically any excuse to get airborne….must be why he likes kite boarding so much! As much as I love it, 10 years ahead of Jon in age my body was hurting a bit more than his by the time we finished…recovery isn’t bouncing like a rubber ball anymore! Altair is a 1931 William Fife III designed schooner, and with nothing but a wheel, some cogs on a shaft connected to a large bronze quadrant that drives the rudder, your shoulders and chest are burning after 30 minutes in big seas and 30 plus knots of wind which is what we had for the first 9 days. Trimming is done with a handle and a manual winch, or a block and tackle and some sweating. That’s a lot of very good sailors that were on very limited sleep, physically exhausted, and yet completely stoked when we crossed the line first in Martinique, 3000nm and 13 days and 3 hours after starting in Lanzarote. Of the 13 times I’ve sailed across the Atlantic this was my favourite and I wasn’t alone thinking this. Also, let’s face it, when the wind dies on delivery we turn the engine on or motor sail whenever conditions don’t suit us. This time we were racing, and on a classic schooner that meant changing sails, changing tactics and basically doing whatever it took during those last 3 days when the wind went light and shifty and we pulled off 50+ sail changes and manoeuvres. During the final 48 hours neither watch slept and going down for meals became our only rest. The daily reports kept the pressure on. Constantly seeing the weather forecast ahead of you and the predicted corrected time reports meant there was never time to ease up. 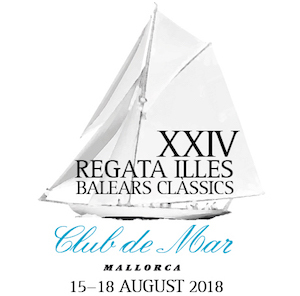 The crew was stacked with experienced hands who had often sailed together and who knew Altair from time on the Mediterranean and Caribbean circuits over the last 9+ years. Many had made friendships away from Altair on different boats which made for an atmosphere of both respect in each other’s abilities, but most gratifyingly, a real enjoyment of each other’s personalities. No lack of jokes were cracked, and plenty were happy to give a holler to show their excitement in what were thoroughly enjoyable, if wet, conditions on a boat that holds a special place in all of our hearts. There were 16 crew on board. Here are a few for flavour to start, shall we say. Kara the Chef and Maria the stew win awards for two toughest jobs. Damn! Despite it all we ate well, and tossed about in the galley, those 2 girls never stopped smiling or producing…hats off! In this case the 6 race crew that joined the permanent crew (who know and race their own boat often) had all raced together at various times. The exception ironically being myself and the navigator/tactician Russell, one of my best mates, and we share a house! Both of us have raced on Altair at differing times but we managed to do our first sail, race, and Transatlantic all together in one go. Success all round! But what tied the 6 race crew that joined the permanent crew, the owner Joe and his 2 daughters Sacha and Arielle (who both stood watches, one on each) Selwyn, Simon, Russell, Butch, Tom and myself was that we all enjoy sailing small keel boats for free with mates in our time off, have all, or in some cases still are Captains, and all grew up sailing dinghies and have kids who we have passed this on to. 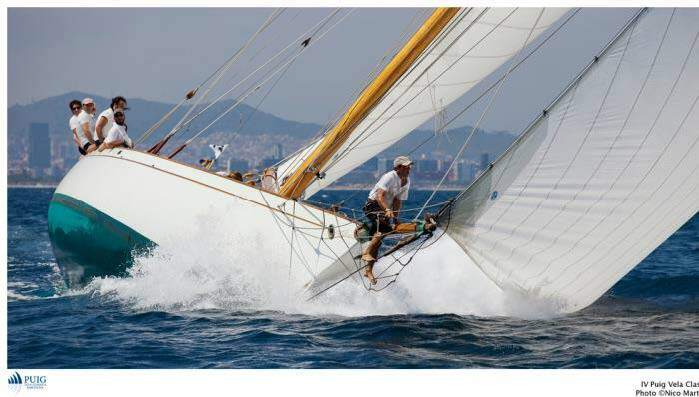 To top it off we all cut our teeth in yachting on classics first, some remaining while others of us moved to racing and deliveries of modern sailing yachts while still returning to classics a few times a year for regattas (Freelancers Simon, Russell and myself). Butch, formerly Belle Aventure Captain and Stephan’s fill-in captain for some deliveries in the past. Tom, former Mate on Altair and previous Captain to the Fife’s Hallowe’en and Madrigal among others, Selwyn still captain of classic sloop Cielo. So that’s the gist of what the race and the boat were like. I like to walk away from every experience and think about what you can learn from it and bring to other boats with lessons learnt either by what was done right that you agreed with, or done wrong and what the solution was. Something that I think we’ve all known but was reinforced on this race especially, is the importance of not just getting the right people in various positions for their experience and ability, but crucially (and this is really the important bit because it is often overlooked and applies so well when done on a longer term scale in permanent positions on yachts, regardless of their use) is picking people who like each other, or with good judgement on personality are likely to like each other. The other is having those in the same positions for each and every manoeuvre so that things aren’t missed, that the right leads are known, and everyone gets progressively better at their specific jobs. Inevitably this leads to the improvement as a whole in the boats performance rather than wandering around picking whatever job they feel like doing for a specific manoeuvre. We made that mistake once, and no one had tied the tack for the fisherman. Once that was sorted we adamantly adhered to what we had been doing before. Know your position and be responsible for it. No more problems…. That Stephan considered all this puts a good example in the payoff of a Captain really paying attention to who he’s getting onboard. As for the permanent crew? 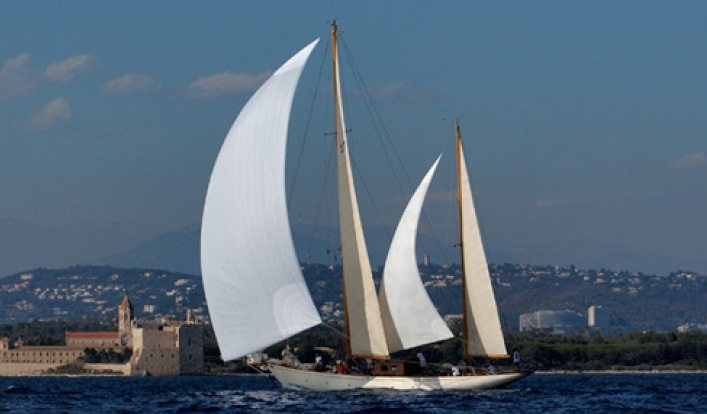 The captain, mate, Bosun and both deckies have spent their lives since childhood also racing dinghies till moving into yachting for a living, and obviously all have a passion for Classics. 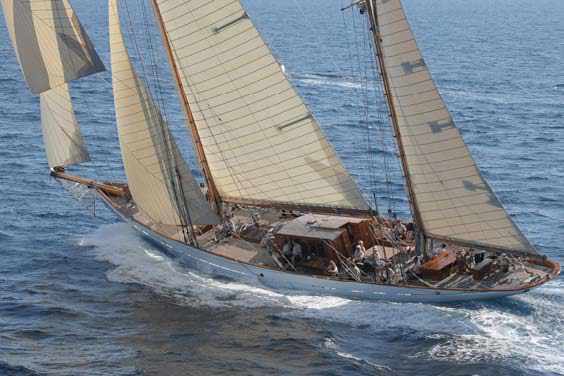 They’ve also a long list behind them in Stephan and Rob as to past boats, Belle, Shamrock V, Mariette, etc. 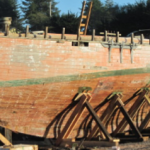 The bosun Stevie, formerly of Germania Nova, another schooner. The two deckies Jon (a proud Breton) and Arthur from England are worth an honourable mention as no 2 people sweated more halyards or did more grunt work than those two, always with a smile and the enthusiasm of youth that’s infectious on the older crowd. Jon was the bowman on the other watch, a talented photographer (he really took some amazing pictures!) and did the vast amount of rig checks underway as he has done all the rig maintenance onboard, and a great job he did of it too! Arthur, actually not a bad photographer himself as it happens, was on my watch and was methodical in carrying out deck checks every 30 minutes, plus he’s really bloody tall and strong, the ship’s carpenter and other than the fact he’s a Leicester Tigers supporter there isn’t much wrong with him either! To see two young fellas so stoked in their jobs, the boat and the race itself, gives you hope for the future. People forget sometimes, I guess, that without people coming in through the bottom and going to the top, the classics aren’t any good without the crew to sail them. You need constant injections of young blood, because whenever you’ve been doing it for a while and someone is there with a big smile to say “how cool is this barreling down the Atlantic on a runaway freight train in the middle of the night” you can look around and think jesus! “Your right, this is some mighty craic eh?” The longer the race went on, the more into it the owner Joe got. His excitement at the daily reports on positions that Russell and Stephan would go through with him heightened his interest, a combination of his daughter’s enthusiasm, (and from what I understand they deserve a lot of credit for pushing this endeavour) and what he saw around him, resulted in him finishing up with a thoroughly enjoyable experience. Without an interested owner you have no boat, no crew, no race. I don’t doubt Joe already loved Altair, but I think he finished up with a greater appreciation for his boat and his crew, and likewise it gave the permanent crew time with him. The stronger that relationship, the better for Altair. Things are looking good for the old girl. 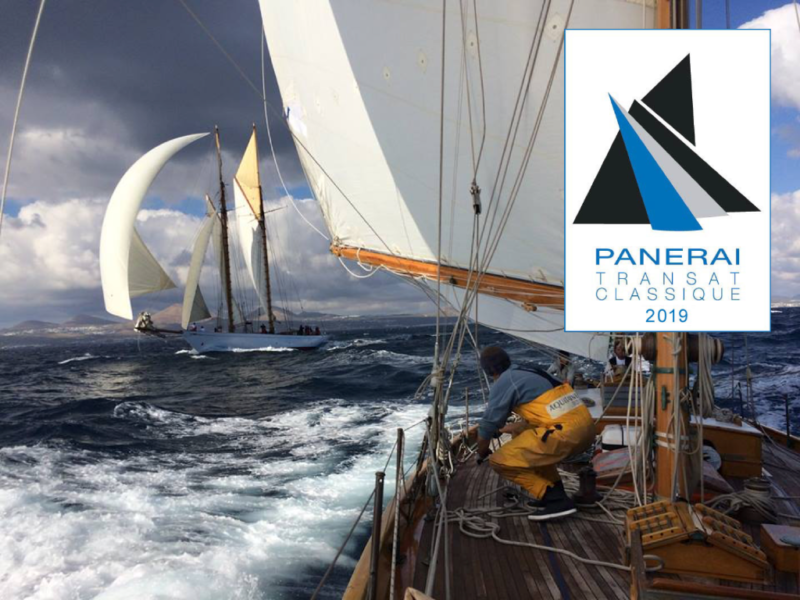 To find out more about the Panerai Transat Classique, 2019, click on the photo below.